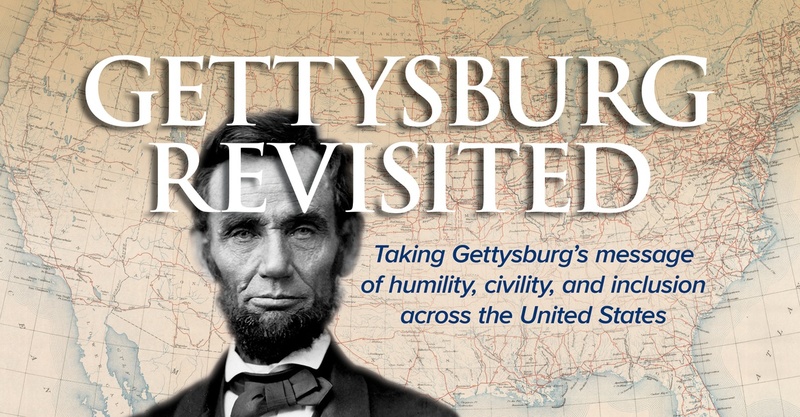 The Gettysburg Foundation's public education effort to enhance civility and mutual respect in our democracy, draws upon inspiring stories of conflict and conciliation that bring more than one million visitors annually to Gettysburg. Gettysburg, internationally recognized as the site of the signature battle of the Civil War, with more than 51,000 casualties, is also the site of the most famous speech by an American president. In the Gettysburg Address, President Lincoln connected the sacrifice of the soldiers to the birth and continuation of a democratic form of government. Ever since the battle ended in July 1863, Gettysburg has been a remarkable place of healing and kindness, of remembrance and reconciliation. This began immediately after the battle as local residents cared for the injured soldiers of both armies. It has continued through veteran reunions, appearances by fourteen presidents, efforts by President Eisenhower on his adjacent farm to foster world peace, and annual ceremonies in Soldiers' National Cemetery. In a message to Congress around the time he issued the Emancipation Proclamation, President Abraham Lincoln observed we Americans could "nobly save or meanly lose" our democracy. 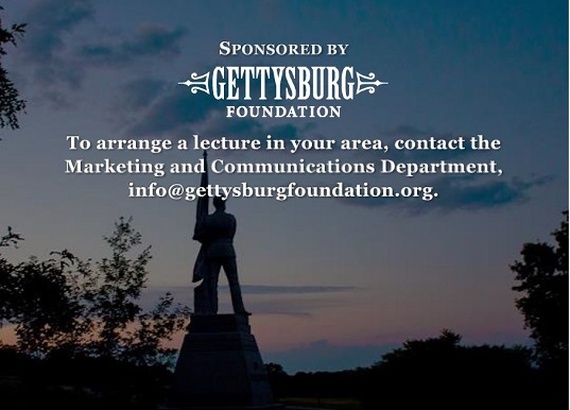 In this divisive time in our nation's history, the Gettysburg Foundation is committed to advancing a non-partisan, historically informed message that serves our nation. Gettysburg Revisited started in 2017 and continues to grow. We have traveled to 12 states, Washington, D.C. and Poland presenting 37 civility lectures, and created Great Conversations at Gettysburg, a signature series of lectures, panels and events. Fairfax Virginia Rotary Club, Fairfax, Va.
Frederick Rotary Club, Frederick, Md. Colonial Heights Historical Society, Petersburg, Va.
Community Group, Salem Lutheran Church, Catonsville, Md. Conyngham Valley Historical Society, Greater Hazleton Area, Pa.
Laytonsville Lions Club, Laytonsville, Md. Mt. Tabor UMC, Gaithersburg, Md. Salem United Methodist Church, Germantown, Md. Topeka Lions Club, Topeka, Kan.
Wesley Grove United Methodist Church, Gaithersburg, Md. Capitol Hill Rotary Club, Washington, D.C.
Alexandria Rotary Club, Alexandria, Va.
Cape Fear Club, Wilmington, N.C.
Gettysburg Rotary Club, Gettysburg, Pa.
Dupont Circle Rotary Club, Washington, D.C.
St. Joseph Museums, St. Joseph, Mo. Pennsylvania County Commissioners, Gettysburg, Pa.
WITF Radio Smart Talk Program, Spangler Farm, Gettysburg, Pa.
York Rotary Club, York, Pa.
Comcast Television, Newsmakers, Harrisburg, Pa.
Omaha West Rotary Club, Omaha, Neb. Colonial Heights Historical Society, Colonial Heights, Va.
Lawrence Rotary Club, Lawrence, Kan.
Lawrence Kiwanis Club, Lawrence, Kan.
Harvard Club, New York, N.Y.
Trinity Episcopal Church, Topsfield, Mass. Missouri University of Science & Technology, Rolla, Mo. East York Rotary Club, York, Pa. Chestnut Rotary Club, Greater Philadelphia, Pa.
Nevada State College, Greater Las Vegas, Nev.
University of Missouri students onsite, Gettysburg, Pa.
Phi Beta Kappa, University of South Dakota, Vermillion, S.D.